Gated Community - 15 minutes from Lake Chelan - 5 minutes from Columbia River! 3.84 Acres with huge territorial views - shared well - 36 Acres community park for hiking - riding horses. 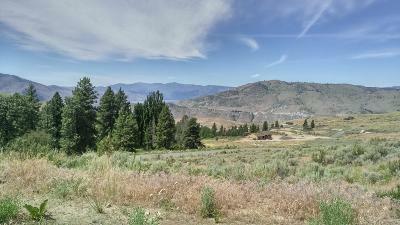 Build your dream cabin - minutes from all things Chelan - wineries - shopping - pristine lake. Year round access to this high desert experience at Corral Creek Ranch!